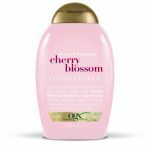 Following its launch of professional salon standard hair shampoo and conditioner series, world’s leading ingredients-inspired haircare brand from the United States, OGX, will be celebrating this Christmas with its customers in Hong Kong with a pop-up mobile salon in Causeway Bay. The fantastical OGX Christmas pop-up mobile salon is decked with fun instagrammable photo walls such as life-size lollipops and a glittery Christmas wonderland. 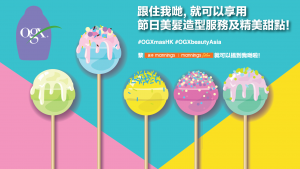 Get ready for a full line-up activity this season as OGX Christmas pop-up mobile salon stops over Causeway Bay to offer free hair-styling services*! 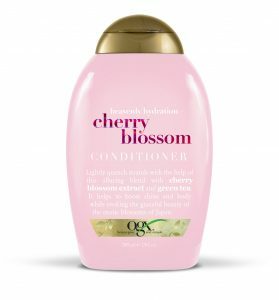 Simply purchase any two bottles of OGX shampoo or conditioner (HKD88 per bottle) at Mannings or Watsons and present the receipt of purchase to redeem a hair-styling session, while savoring cupcakes and candies. Catch the mobile pop-up salon at the following locations and time detailed below!